published by W. W. Norton & Company, New York, 1987. The Norton Manual of Music Notation is designed to serve as a practical guide to music handwriting and music-writing procedures. It provides the music student with an essential tool for learning to put notes down on paper with clarity and speed. At the same time, it serves as an indispensible reference to a wide variety of notational conventions. published by Hal Leonard, Milwaukee, WI, 2011. This book is designed for anyone wishing to expand their knowledge of music theory, whether beginner or more advanced. 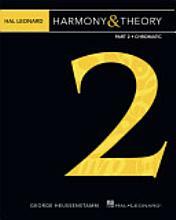 the first two chapters deal with music fundamentals, and may be skipped by those with music reading experience. Each chapter contains many examples that clearly illustrate the concepts being presented. Written exercises at the end of each chapter allow the reader to test and apply their knowledge. TOPICS INCLUDE: Basic music-reading instruction, Triads in root position, Triads in inversion, Cadences, Non-harmonic tones, the Dominant 7th Chord, and Other 7th Chords. This book continues where Part 1 left off, introducing the reader to modulation and more advanced harmonies. Each chapter contains many examples that clearly illustrate the concepts being presented. Written exercises at the end of each chapter allow the reader to test and apply their knowledge. 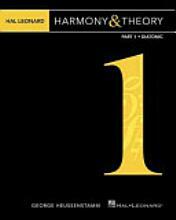 TOPICS INCLUDE: Secondary Dominants, Modulation, Borrowed chords, the Neapolitan sixth chord, Augmented sixth chords, and Ninth, eleventh, and thirteenth chords. This handbook leads the student through the techniques and procedures of tonal counterpoint as exemplified in the works of J. S. Bach. A thorough grasp of tonal harmony is essential before attempting to study this book. There are, however, some aspects of chromatic harmony that do not have to be applied in this study: such chords as the Augmented Sixth and Neapolitan, though possible, are not absolutely essential and are not found that often in the works to be studied, and modulations to distant keys are not used. . .